The very first words heard on our radio receivers… sound recording technologies, gramophone records, amazing microphones..
1200 metres wavelenght, 250 kilocycles.. In our in house radio station where you can visit the most important stops and gadgets in our radio journey we set off on in 1927, you can have your own radio broadcasting experience. 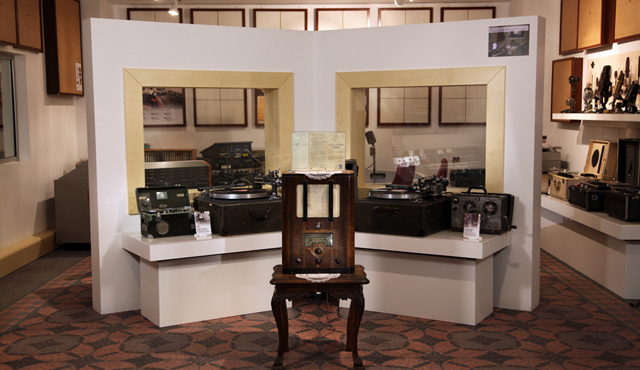 In the studio, about 60 artifacts including sound recording gears and microphones of the 30s are on display.